Hi Everyone! Hope you had a great day today and that you´re enjoying the last days of Indian Summer to the fullest. As almost everyone I have my "impossible" wishlist, too, and from today there´s one pretty amazing thing on it. 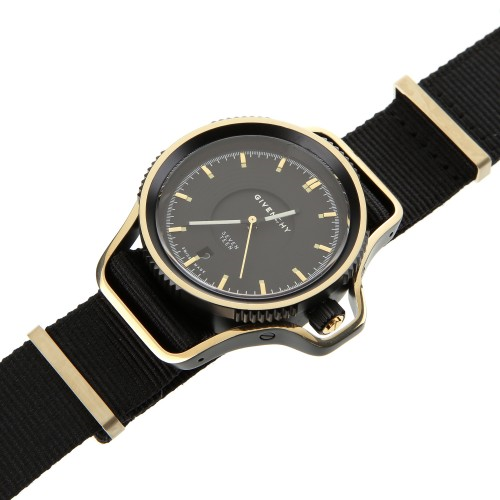 When I saw this watch for the first time, I´ve totally fallen in love with them. And I´m sure that I´m not the only one. 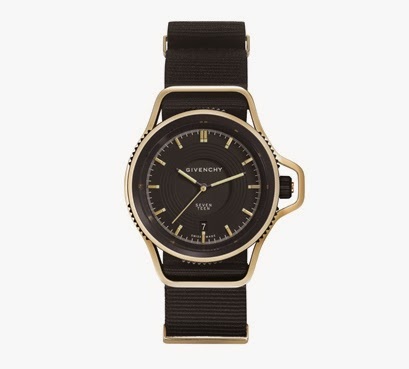 From today they are selling this limited edition (only 500 pieces) of Givenchy Seventeen black and gold watch on colette.fr. 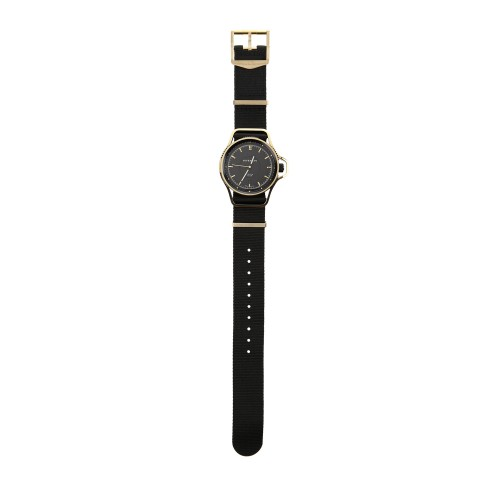 What I love the most about them is their minimalist design and the fact that they come with two interchangeable straps, one in nylon and the other in calfskin leather. 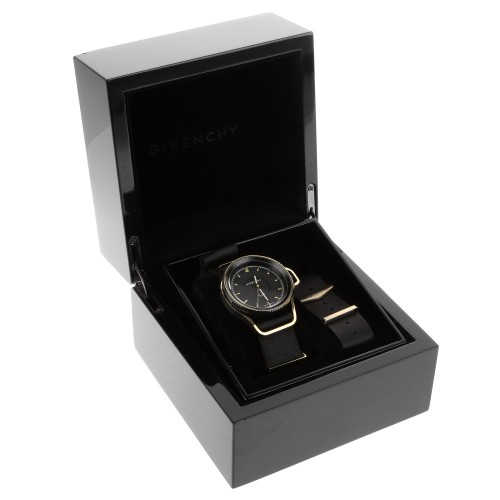 However, thousand euros is quite a lot of money, so that´s why this list is so "impossible"... Well, if you cannot resist anyways, hurry up, they´ll be quickly out of stock!